The Gambia’s Yahya Jammeh is under pressure from regional leaders to cede power. The Gambia is an opportunity to reinforce election quality norms for the Economic Community of West African States (ECOWAS). The 15-member regional group was initially set up as a trading bloc. But it has increasingly pursued an agenda of trying to ensure that countries apply principles of democracy, the rule of law and good governance. This motivation has its roots in protecting civilian governments from military coups and preventing civil conflict in West Africa. In contrast to other African regional organisations, such as the Southern African Development Community (SADC) and the East African Community (EAC), ECOWAS has pioneered norms around election conditions and observation. This has included “zero tolerance for power obtained or maintained by unconstitutional means”. For ECOWAS, constitutionalism has increasingly began to trump national sovereignty. The events unfolding in The Gambia present a crucial test for the regional body’s commitment to this principle. On 2 December President Yahya Jammeh conceded defeat shortly before the Independent Electoral Commission announced that opposition leader Adama Barrow had won the election. A week later he withdrew his concession. Even before the elections it had been widely expected that Jammeh would try and rig the outcome. This would not have been out of character for a regime that has consistently suppressed political dissent and critical media. Prior to the December election, ECOWAS challenged Jammeh’s behaviour in power. Based on a pre-election assessment it concluded that the minimal conditions for free and fair elections were not being met. It said it would not be sending observers, a decision it had also taken ahead of The Gambia’s 2011 presidential election. 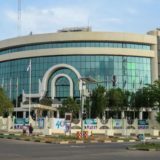 The Gambian election dispute is not the first that ECOWAS has confronted. Côte d’Ivoire’s 2010 presidential election is a case in point. The country’s electoral commission declared that Alassane Ouattara had won the second round. 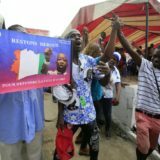 But, with the power to review the election, the Constitutional Court headed by an ally of the incumbent Laurent Gbagbo cancelled the results in several Ouattara strongholds and handed Gbagbo the election. ECOWAS, cooperating with the United Nations in Côte d’Ivoire, rejected what it viewed as an obvious manipulation of the result by the court. It went on to reject any power-sharing arrangements being negotiated. This was despite the fact that the African Union (AU), in particular Gbagbo’s ally Angola, had floated the idea. The failure of power-sharing agreements in Kenya (2008) and Zimbabwe (2008). ECOWAS feared that a power-sharing arrangement would open the door to similar agreements spreading like a cancer in the region. This would mean that losing candidates and parties would always expect power-sharing agreements. Its view that power-sharing puts a country outside normal constitutional procedures, contravening the norms of constitutionalism. As a result ECOWAS sided with Ouattara and, with backing from the UN and France, organised military intervention. There are certainly differences between The Gambia and Côte d’Ivoire. But a similar dynamic appears to be at work. In The Gambia the election commission also declared the opposition the winner. Despite its critical stance before the elections ECOWAS accepted the result because the poll had taken place in line with The Gambia’s constitutional framework. But, just as Gbagbo had done, Jammeh looked for ways to stall the process. He did this by pursuing an elections dispute resolution at the Supreme Court. 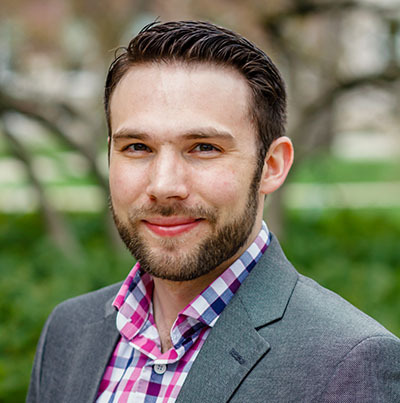 The problem was that the Supreme Court did not have the requisite judges to hear a case. In addition, as as in Côte d’Ivoire’s Constitutional Court case, the independence of the court is questionable. ECOWAS is unlikely to be fooled by Jammeh’s legal acrobatics, just as it wasn’t in Côte d’Ivoire. President Jammeh welcomes the presidents of Sierra Leone, Nigeria and Ghana for crisis talks in December. This stands in contrast to comparable tactics working in other regions. 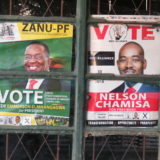 One example was Robert Mugabe’s move in Zimbabwe to suppress Morgan Tsvangirai and his supporters before the second round of the 2008 presidential election. 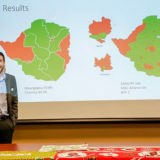 Even though SADC observers and states condemned the violence, the regional body did not facilitate a fair solution to prevent wholesale manipulation. Likewise, the EAC attempted to mediate the political dispute around Burundi’s flawed 2015 election. Yet the selection of Uganda’s Yoweri Museveni to lead mediation efforts – a man who doesn’t support term limits – showed that the EAC was not serious about political dialogue. 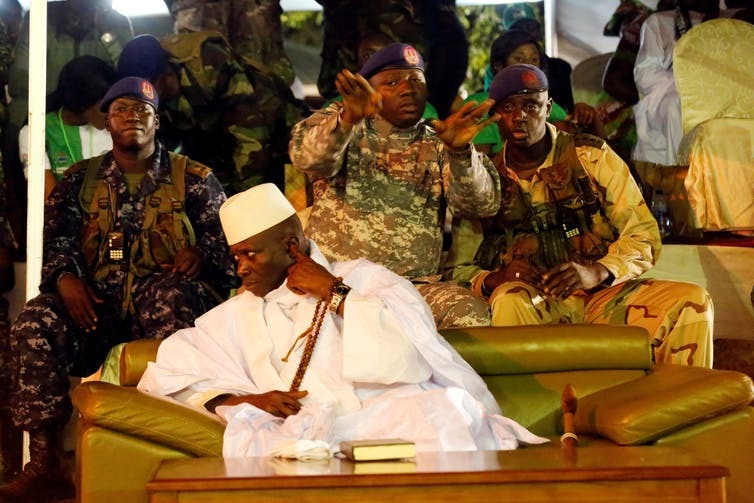 ECOWAS is likely to behave differently when it comes to The Gambia. 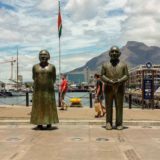 It has shown that it believes constitutionalism and the transfer of power is a priority. The party and/or candidate who loses the election shall concede defeat to the political party and/or candidate finally declared the winner, following the guidelines and within the deadline stipulated by the law. This is not the case in the EAC or SADC where countries are still largely beholden to the old guard of ruling political parties and elites. There are another three crucial factors. ECOWAS has also shown it has the ability to gather and assimilate information about political processes, including elections. Although it didn’t deploy an election observation mission in The Gambia, the secretariat is likely to be receiving useful information from an advanced early warning unit. This was designed to monitor conflicts and provide political analysis. ECOWAS also consistently collaborates with the UN in mediation and intervention efforts. Other regional bodies largely prefer to act independently. ECOWAS regularly consults with the UN Security Council. It did so after the 2010 Côte d’Ivoire election and has done so again over the Gambian election. These consultations are likely to provide additional international support for intervention, which includes mobilising UN assets if necessary. The AU also seems supportive of ECOWAS’ efforts by refusing to recognise Jammeh as president past 18 January. Finally, ECOWAS has been willing to set time tables with consequences. This was made clear in statements from ECOWAS heads of state that Jammeh must step down on 18 January to allow a transfer of power or face possible military intervention. The one major consideration for ECOWAS is how to handle a potential show down with The Gambia’s military if intervention becomes necessary. 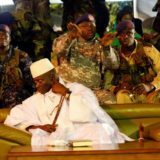 Failure to secure a full transfer of power in The Gambia could affect the ECOWAS’s efforts to manage other disputes in the future. And, supporting a power-sharing agreement could bring about a series of destabilising post-election outcomes. This means that Jammeh is likely to leave power – or feel the collective weight of the region.